State House, Banjul, 25 July, 2018 – H.E. 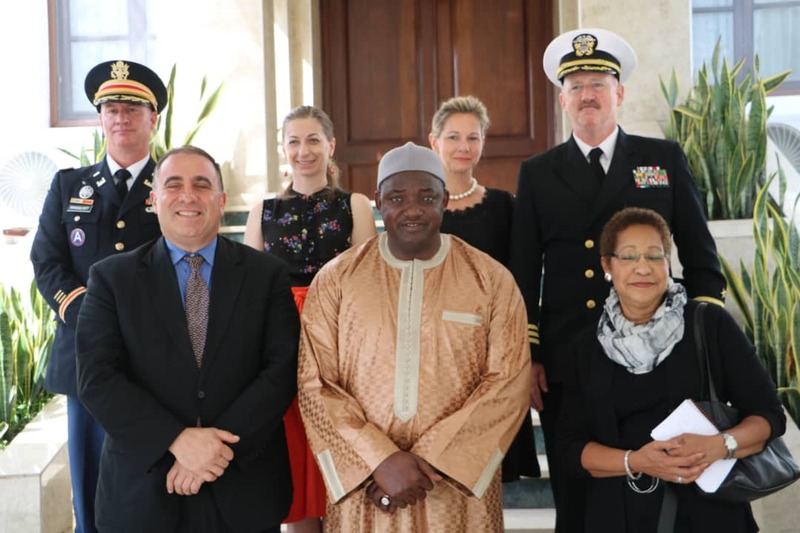 Ambassador Alexander Laskaris, deputy to the Commander for Civil-Military Engagement, United States Africa Command (AfriComm) has announced that the US is committed to supporting the Gambia’s Security Sector Reform program. During a closed door meeting with His Excellency President Adama Barrow at the State House in Banjul on Wednesday morning, the one time US Ambassador to Guinea Conakry and deputy Consul to Liberia, Ambassador Laskaris, said they have formally re-established relations with The Gambia Armed Forces and government with the hope of progressing the security reforms agenda. His Excellency President Adama Barrow welcomed the commitment of the US Military to support the security sector reform of his government.